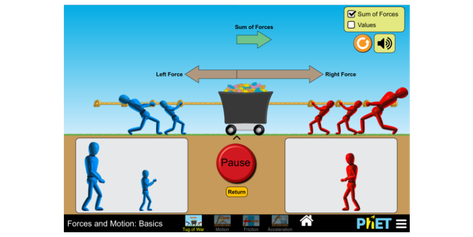 PhET Forces and Motion Basics: Explore the forces at work when pulling against a cart, and pushing a refrigerator, crate, or person. Create an applied force and see how it makes objects move. Change friction and see how it affects the motion of objects.